Winner of the 1992 Pritzker Prize for Architecture, the architect Alvaro Siza is recognized internationally for projects built during thirty years of practice in his native country of Portugal. A sensitive and cultural approach to 'regional architecture' has characterized his work and earned him a reputation outside his own country as one of the most interesting contemporary architects practising today. 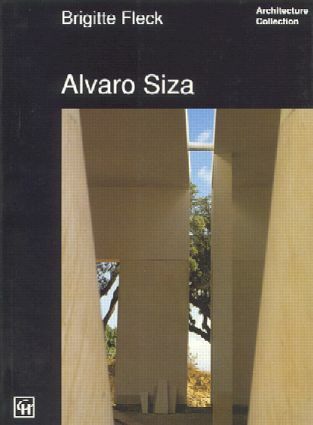 The author provides here an excellent overview of Siza's work. Spon's ARCHITECTURE COLLECTION presents the work of historic and contemporary masters of architecture in clear well-illustrated text, accessible to non-specialists. This appealing series of monographs, now available in English, is launched by books on two great historic figures of the century, Frank Lloyd Wright and Mies van der Rohe and two award-winning contemporary architects, Sir Norman Foster and Alvaro Siza. Oporto - city on granite. Biography in Matosinhos. The small works. The time of competitions. Monotony and imagination. The `Oporto School'. Chiado and the strategy of discovery. Projects of the Nineties. Chronology. Further reading. Picture credits. Index.